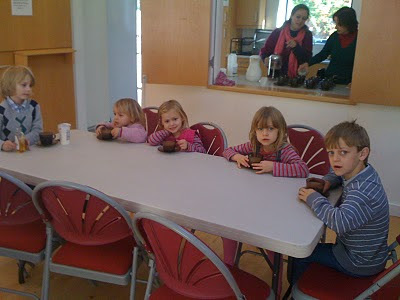 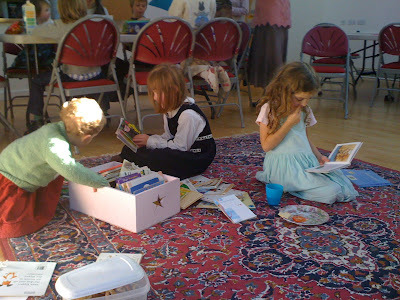 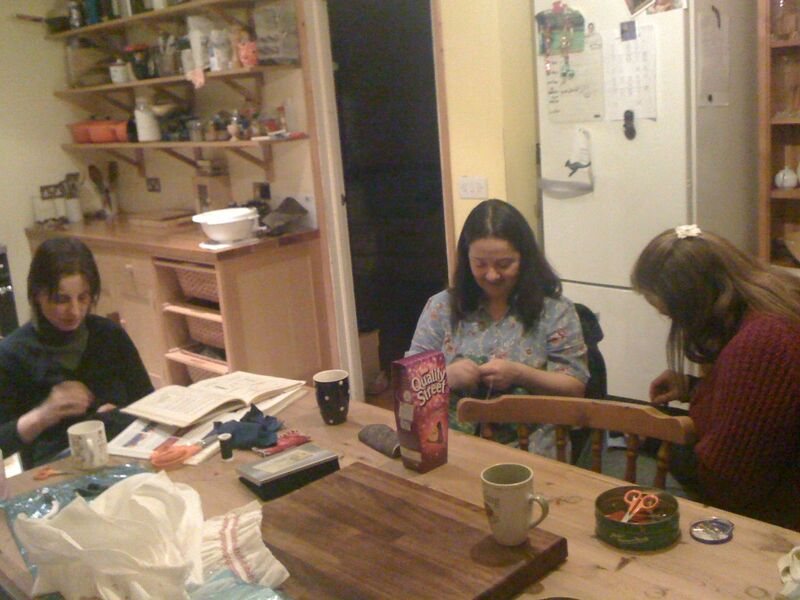 In Michaelmas Term 2010 we moved to St Anthony of Padua church hall in Headington. 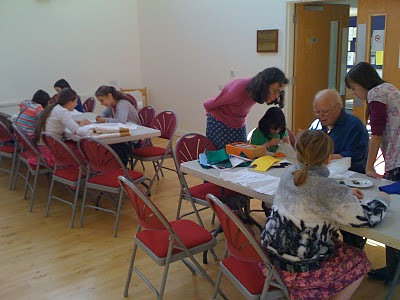 It's much easier to teach two groups here, as the room can be divided into two with a partition down the centre. 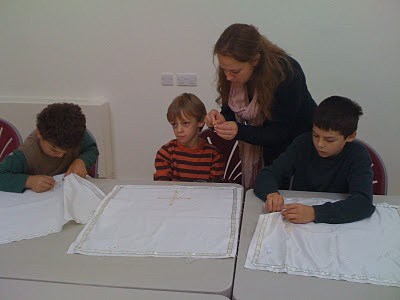 Above, some of the younger group making chalice veils with the help of Emma Stevens; the older group, led by Barbara Williams, making smocked baby bonnets. 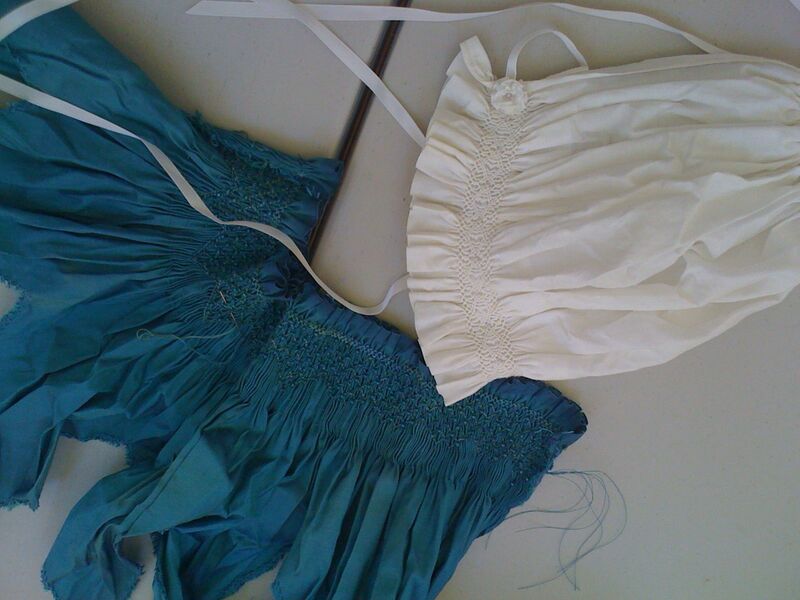 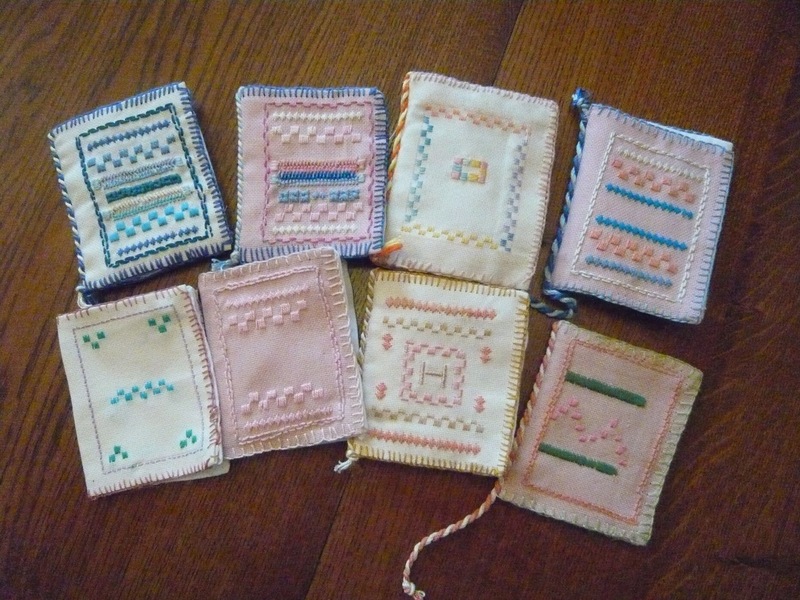 By the end of summer 2010, several beautiful needle cases embellished with drawn threadwork had been completed.